The Spirit Shoppe in South Egremont, MA is offering free shipping on 6 or more bottles through April 16, 2010 with the coupon code "springship". I've been on their E-mail list for a while now, and I'm always amazed by the quality wines they carry especially given their out-of-the-way location in Western Massachusetts near the New York border (map). The good news for Boston-area wine lovers is that they can legally ship wine to our doorsteps. With this free shipping offer, it will be the first time I've ordered from them. I love free shipping deals. Rationally because shipping can be rather expensive. Irrationally because money spent on shipping feels like wasted money. This wine was on top of both our lists. The Spirit Shoppe carries several entry level wines from Spinetta and that's really attractive to me. I had this wine a couple months ago and rated it 89 points. Also on both our lists. Following up on multiple comments and recommendations I've gotten on this wine. Seems like a good chance to try this without buying too many bottles. Fantastic price-point on this wine from a highly regarded Barbaresco producer. Read more about a Sottimano tasting we both attended here. 91 WS for less than $20 for this Tuscan red. I really like this wine as a just-over-$10 Pinot. Read more here. These ~$20 Siduri Pinots have been tough to find in MA and 2008 Oregon Pinot is supposed to be an incredible vintage. Spectator says "86" but CellarTracker reviews are trending north of 90. '08 Siduri Sonoma also available. Really enjoyed this when I tried it late last year. Rated it 94 points and available for a good price here. Depends on how much $60 Cab you need in your stash. Some concerns about the age here, but good QPR. Good sale price from this producer. I continue to be on a Barbaresco kick. More about this wine HERE. Incredible stuff but pricey. Fair pricing here. Since publishing this piece The Spirit Shoppe has become an advertiser on this site. Question of the Day: What values did we miss? Leave a comment and let us know. Looking to combine purchasing power to save 15% on a mixed case of non-sale items? Drop me an E-mail at wellesleywinepress@gmail.com and I'll see if it's convenient to combine orders. 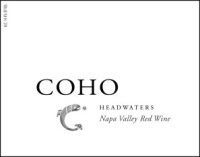 Buy your ticket to the hottest food and wine event of 2010 and help fight childhood hunger. Share Our Strength's Taste of the Nation® is the nation's premier culinary benefit, featuring top chefs and mixologists -- all of whom are coming together to donate their time, talent and passion to end childhood hunger in America. Join Andy Husbands of Tremont 647, Jason Santos of Gargoyles on the Square, Jody Adams of Rialto, Gordon Hamersley of Hamersley’s Bistro and more to celebrate Taste of the Nation Boston in 2010. Boston’s premier food and wine event, Taste of the Nation Boston features more than 70 of the area's finest restaurants, over 40 great wineries, an extensive silent auction, and live entertainment. 100% of ticket sales help ensure no kid in America grows up hungry. Use promotional code "tweettaste15" by March 31st for 15% off tickets. Can't make it? Check out their online benefit auction. Medium-full body in color. Back label says it's a food wine, which turned me off a little to be honest. I drink most of my wine before dinner- should I not like this wine in that case? Fortunately for me, I found the wine to stand up quite nicely both with food and without. A little fake-grapey on the nose, but not in a bad way. Dried fruit, light tannins and medium acid on the palate. Menthol on the finish. Nice craft-brew looking label makes me think it's cool-person wine. Massive bottle with a punt you could hide a small village within. Dark in color. Aromatically fruity, but packs a serious flavor punch on the palate. Wow. Big, sweet-ish chalky tannins. The anti-flavor elite would not appreciate this wine. Low-medium acidity. Long finish. Fantastic grilling/cocktail wine. Serious, but not a sit-down with fancy dinner kind of wine. Full bodied. Blueberries in the nose. Probably the warmest and roundest of the bunch. Spice and nicely balanced medium acidity. A big, delicous wine. To me the label says funky small winery with small production. Nice but quite expensive. 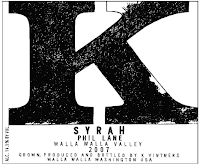 Tip: If you're in the Boston area and interested in K Syrah- check out Bin Ends Wine. I hear they have a few bottles of the 92WS/$45 release price 2005 K Cougar Hills for $30. After tasting these other wines, this wine seemed quite easy going, fruity and vibrant. Significant funk initially that blew off after a couple of hours. I found the wine quite refreshing actually. Bright red fruit on the nose and palate. Luscious. Great value. My thanks to the folks (@HdR2010) who brought these wines together for us to taste and for their support of wine bloggers. I appreciate it. Learn how to taste, evaluate and appreciate wine. Gain greater insight into how wineries and vineyards are managed. Discover the unique qualities of terrain, climate and culture that combine to create the great variety of wines in the world. Of course we will taste and enjoy some of the best wines from each area and sample cheeses from Boston Cheese Cellar's selection to see how the wines interact with food. Further Reading: I spent more at Blanchards last year than any other wine shop. See the complete list of shops here. 10. Don't assume everyone under 40 is clueless about wine or that people over that age are automatically wine drinkers. In fact, don’t look at age at all. Ask a question like “which varieties do you normally enjoy most?” and most people will reveal their level of wine knowledge or passion in seconds. 9. Don’t overfill each glass – in fact, generally, fill it no more than 1/3 of the way. Let the wine breathe and give your customers room to swirl it a bit. A generous 1/2 glass pour on a wine-by-the-glass is okay, but don’t go so far that the wine seems to be suffocating. And when people buy a bottle, don’t drop by to “top off” glasses. It isn’t coffee - let your guests pace their own alcohol consumption. 8. If you offer premium ($75+) bottles, treat them as such. Don't pop and pour bottles unless you're certain the wine is ready to drink. Most restaurant wines are young and most expensive young wines just aren’t enjoyable early without decanting. 7. Tell your customer what your corkage fee is upfront, and get your manager to waive it if they've spent more than it at your bar already. You’ll often see that money anyway, but as an addition to your tip. 6. Never pop and pour a bottle that a customer has brought without first offering to decant. Ask those who bring bottles if they’d like to speak with the sommelier or wine manager – chances are, the guest will enjoy the interaction. 5. Don't pretend to know about the wine list if you are only casually familiar - go get someone who does as soon as you're out of your depth. And then learn what you didn’t know. 4. Know a bit about the potential pairings based on your menu each evening. It's not enough to suggest red with meat and white with fish. 3. Know which wines from the list are out of stock before taking the wine order and certainly do not substitute without first presenting the customer with options. This isn’t a case of 7-Up vs. Sprite. Some diners may want to rethink their whole food order if a special wine is no longer available. 2. Do not serve white wine ice cold! It has no flavor or aroma when it’s yanked out of a 35 degree refrigerator. Customers shouldn’t have to wait the 15 minutes after it’s served for it to reach the proper temperature. Regardless of whether the bar is in charge of storage, you are in charge of presentation. 1. Likewise, red wine is NOT to be served at room temperature! 55-60 degrees please, which can be accomplished with 10-15 minutes on ice if you're not already storing the wine at serving temperature. Room temperature hasn't been 58 degrees since the invention of the radiator. And the 80+ degree pours that sometimes result from wine kept too close to the kitchen is just totally unacceptable. You can follow @CapitalCaseClub on Twitter. My thanks for sharing this piece. Question of the Day: Any restaurant wine service pet peeves you'd like to add? Just back from a tasting of some really nice Barbaresco, and if there's one thing I've learned about blogging about wine events it's this: I better to do it quickly and off the cuff, otherwise I'll never get around to it. With that in mind, here are my thoughts on the Nebbiolo-based wines at today's Sottimano tasting at Vintages in West Concord, MA. 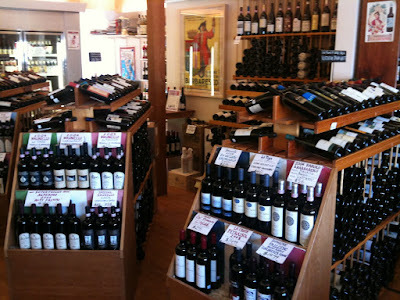 I met a friend there to taste through the wines with the owner of the shop prior to the winemaker arriving. That being the case we got to hear a lot about Piedmont wines in general and a lot about Barbaresco specifically. The store's focus on Barbaresco is incredible, and given that I'm hot on this category lately I've enjoyed getting to know their inventory. I'm always hopeful that I'll find a Nebbiolo that delivers the intensity of fruit and elegance of Barbaresco at a fraction of the price. I thought the nose on this wine was excellent. Delicious red fruit. On the palate, I found it a little harsh unfortunately. Wine Advocate was really impressed with this one, rating it 91 points and calling it "a Barbaresco in everything but name" and "a very serious bottle of wine for $25". I'd rate it 88 points for my palate at this time with hopes that some bottle age will soften the finish a bit and allow the fruit to show through to match the nose. I thought these first two Barbarescos were quite similar- and that's a good thing because they were both really nice wines. Elegant and complex with pretty red fruits and floral aromatics. Some tar. Full of flavor on the palate and enjoyable chalky tannins. I'd rate both of these wines 91 points. This was my favorite wine of the bunch because it offered more ripe, round cherry aromas than the others, along with a flavor profile to match. I'd rate this wine 93 points. Similar to the first two but more tobacco and earth. Perhaps a more serious/austere wine compared to the more feminine/elegant first two. For me, 92 points. After tasting through the Barbarescos I came back and tried the Langhe Nebbilo again in hopes that perhaps my palate would be conditioned by the other wines and the Nebbiolo would have softened a bit. I thought it was still a little rough, but given the price I was willing to try a bottle and give it some time in the wine refrigerator. I thought it was really enjoyable tasting through a bunch of different wines at the same price point with the object being not to pick which one was "best" but rather to pick the one that I enjoyed the most. Wine Spectator and Wine Advocate thought similarly highly of all of these Barbarescos. 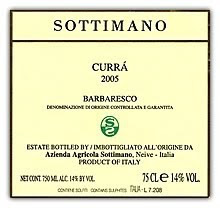 I picked up a bottle of the Curra Barbaresco and I'm looking forward to cracking it open some day. Question of the Day: What are some of your favorite producers from Barbaresco? 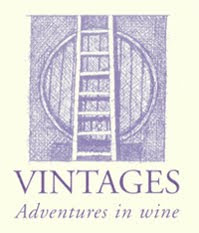 Vintages - Adventures in Wine is having a Sottimano Barbaresco tasting Saturday March 6th from 1-5 PM at their West Concord, MA location. This is a great chance to try some really nice wine in a category I've really enjoyed exploring recently. I had a chance to stop in their West Concord location recently and I was amazed at the depth and breadth of their selections from Piedmont. Whereas your typical local wine shop will carry a half-dozen Barolos and Barbarescos, Vintages had dozens. They're also very strong in Burgundy. I love it when retail stores of any kind offer a focused selection and specialization, and if you do too Vintages is one you'll want to check out. I hope to attend the event today- I hope to see you there. If there's one thing I enjoy most about writing here on the site, it's sharing a recommendation for a value wine. We've covered a number of these over the past couple of years- on average one a month. I like to think I'm selective with these alerts. Kind of like a retailer who, when you get an E-mail from them you stop what you're doing and quickly analyze the offer. I realize everyone's exploring different categories and we don't always agree on what constitutes value, but I really enjoy it when I hear "Heck yeah- that sounds like a great value, I'm in!" or "Thanks for the tip on that Annabella Pinot Noir!" A second thing I've enjoyed related to this site is connecting with like-minded value wine hunters- especially those in the Boston area. Today's value came to me as a tip from one of our case club friends. He was kind enough to pick up a bottle of this wine and it's a winner: the 2006 Londer Pinot Noir Anderson Valley. We've talked a lot about how hard it is to find an outstanding domestic Pinot Noir for $20. In fact, if you do a search on Wine Spectator for 90 point American Pinot for $20 and under for the 2006-2008 vintages only 2 come up. (They're both from Siduri if you're curious). Ironically, the Siduri is hard to find in the Massachusetts market for $20 and under, whereas the Londer we're discussing today has a release price of $35 although it's available for significantly less than $20 if you look around. More on that in a moment, let's talk a little more about the wine. 89 Point Cellar Tracker Median $27.63 Average Community Value My Notes: “Beautiful Anderson Valley Pinot Noir. Vibrant strawberries with a silky finish. An amazing value if you can find it south of $20.” Footnote: This is real Pinot made by real people in Anderson Valley. 88 Wine Advocate, 91 Connoisseur's Guide to California Wine. All of this boils down to this being rock-solid Anderson Valley Pinot Noir. I'd consider $30 the price point at which it becomes relatively easy to find a bottle of outstanding California Pinot Noir. Plugging this into the wwpQPR Calculator we get value index of 2.08: Very Good. So where do you get it for less than $20? The Wine & Cheese Cask in Somerville, MA. They've got this wine for $17.99 on the shelves somehow -and- through Monday March 8th, 2010 they're running a sale where if you buy 12 or more mixed bottles you get 20% off (or 10% off 6 or more mixed bottles). This brings the price down to $14.40. A stunning value in my book. I think I've found my new house Pinot. If you'd like to be part of our Boston-area wine Case Club where we combine purchasing power to save money on wines like these please drop me an E-mail at wellesleywinepress@gmail.com and I'll add you to the list.